UK correspondent Chris McCullogh attended the launch of the Blaney wheel loaders, of which New Zealand is a target market. 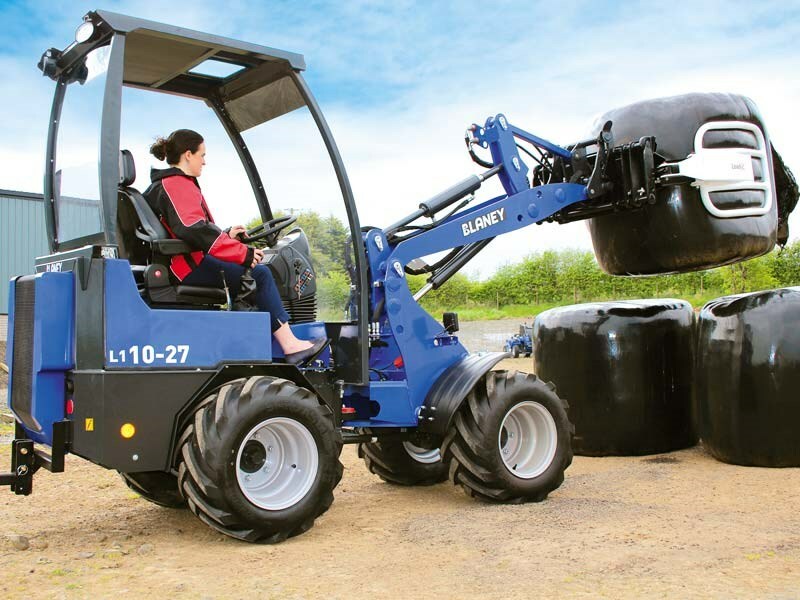 A leading machinery manufacturing company in Northern Ireland has launched two new concept wheel loaders ideally suited to the agricultural and construction industries. 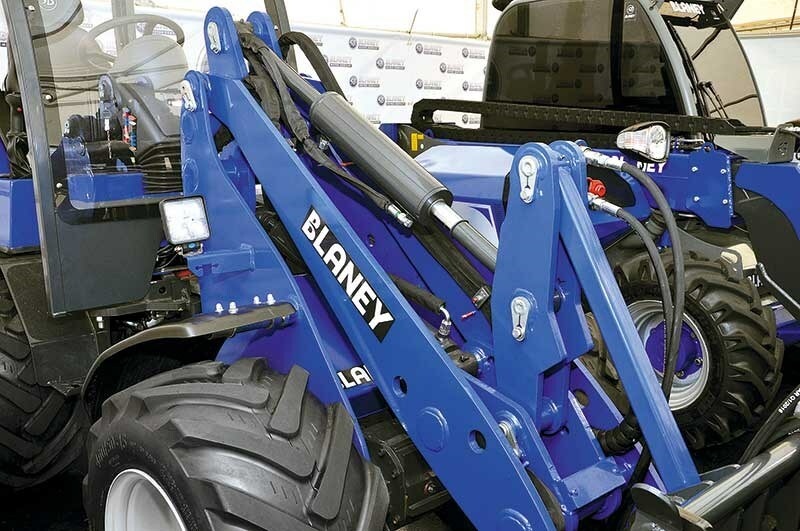 Blaney Motor Company, based at Ahoghill in County Antrim, launched the two concepts before a crowd of industry representatives. The plan is to launch a full product range of these loaders later this year which will be sold in the home markets and offered for export. 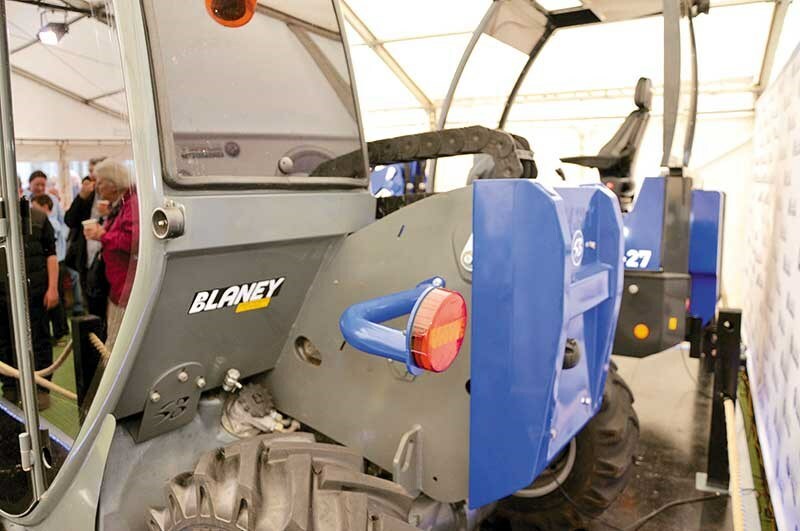 Revealing the concept models was Sean Blaney, the managing director of Blaney Motor Company, who also manufactures the popular Quad-X range of agri machinery for quads and UTVs as well as Blaney agriculture, which manufactures larger machinery for tractors. 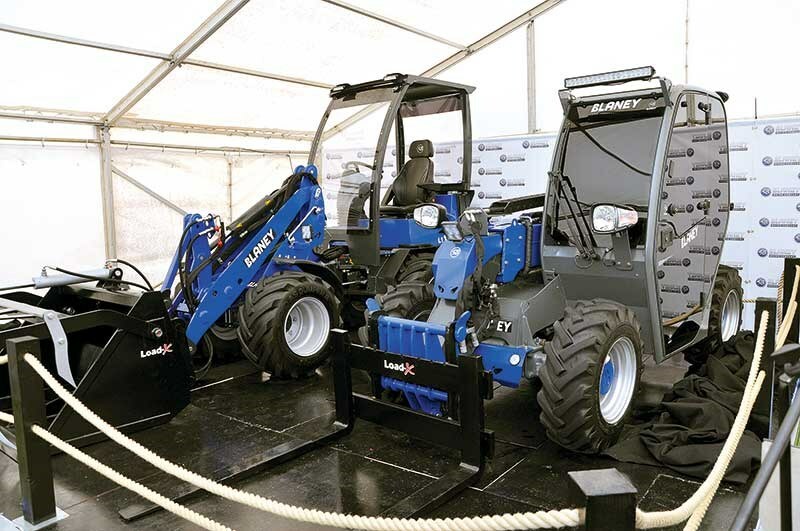 The theme running throughout the new range of telescopic loaders and wheel loaders is that they are designed to be compact weighing under 3.5 tonnes and small enough to transport from site to site on a small trailer. Launched at the event was the TH1 15-48, a compact telehandler with a lifting capacity of 1.5 tonnes and a reach of 4.8 metres. It is powered by a 50 horsepower engine and uses a hydrostatic transmission with a four wheel drive lockable differential if required. 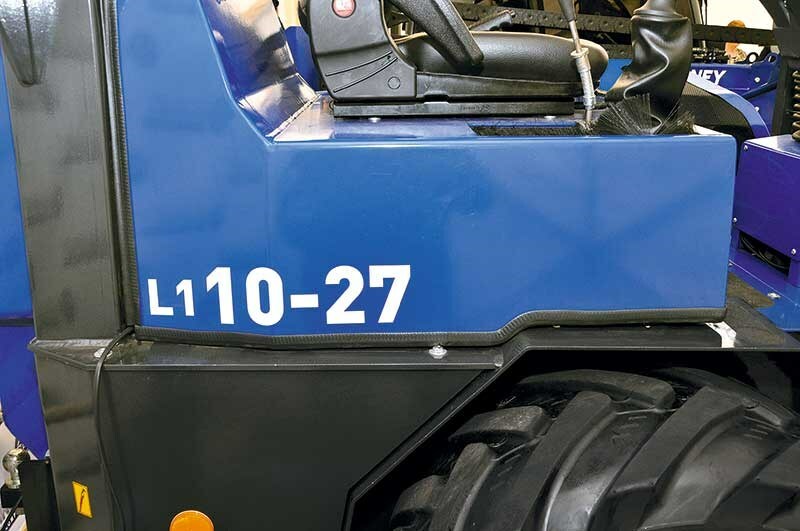 The second concept to be launched was the L1 10-27 which is a compact wheel loader with a lifting capacity of one tonne and a reach of 2.7m. This time the engine is rated 40hp and the unit has a hydrostatic transmission with four wheel drive limited slip differential. As these are the concept vehicles launched the team at Blaney Motor Company will now sit down to fine tune their creations in time for the full product range launch. The inspiration for the range has come from years of researching the specific target markets by Sean and his designers. 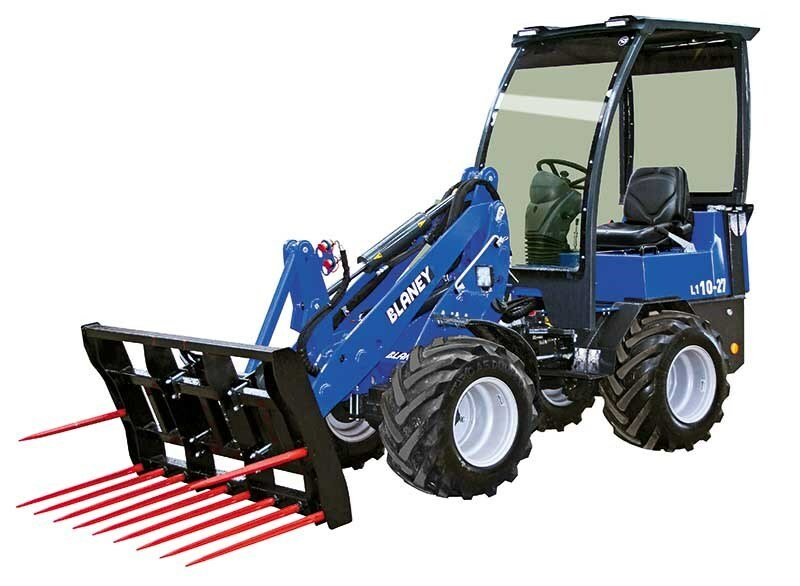 "Our goal is to offer machines that will appeal to a wide range of end users," says Blaney. "We have identified a number of requirements from operators in the construction, agricultural, landscaping, and plant hire industries. "These centered around a range of smaller wheel loaders that were compact yet powerful and reliable. 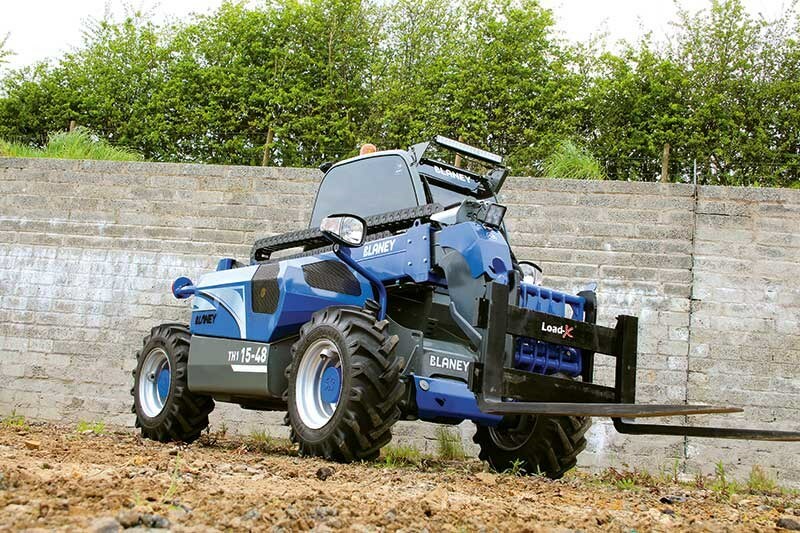 "We want to make our range of off-highway vehicles multipurpose and versatile, by offering a wide range of attachments, not just buckets, grabs and pallet forks but more niche attachments such as mowers and side discharge cement mixers to suit a wide range of applications. 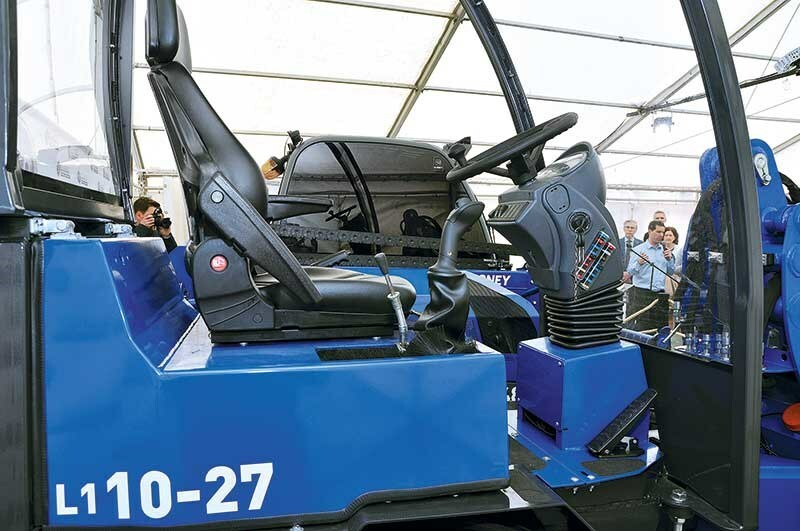 "The machines we wish to develop will have specific focus on the under two tonnes lift capacity." Blaney Motor Company will also be looking to develop a network of dealers to represent the brand and a growing range of vehicles in the near future. Further specific information on the range will be available ahead of the product launch later this year.